Each day you are robbed of your energy. Instead of wasting your energy let’s talk about how to deal with mindlessly scrolling on social media once and for all. Like everything in life social media has its place. Social media has changed the way people interact and consume information. Instead of you turning on CNN, you probably get most of your news from places such as Twitter or your favorite journalist. Even how we do business has been altered by social media. You can post one tweet and reach thousands of potential customers. Like you I found myself checking social media constantly. If I was standing in line I would automatically check my Twitter. My social media addiction got so bad that I started checking my emails and social media notifications as soon as I woke up. Before my feet touched the ground I had already spent 5 minutes on Twitter. This continued for a few weeks. It wasn’t until I took a weekend trip without my phone that I realized how bad it had gotten. I found myself feeling anxious that I couldn’t check my notifications. Instead of using social media for business and networking, it became a way of life. Once I got back in town I acted immediately. I turned off my notifications and found other ways to keep my mind busy. If you’re like me, your mind is constantly buzzing with ideas. I’ll be the first person to admit that I am a very obsessive person. I’ve got to be working on something almost constantly. 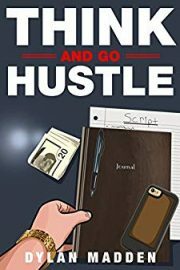 That’s why I designed the Hustlers Guide to Mediation. Just taking 5 minutes a day to clear my mind helped me refocus on what’s important. No more notifications combined with meditation helped me. After a week I fixed my social media addiction. This is when I ran into my second issue. Even though I wasn’t using it much throughout the day, I found something else. I began mindlessly scrolling through my newsfeed. One day in particular I wasted 35 minutes on Instagram. What happened was an associate of mine sent me a proposal. After I responded to him, I decided to check out a video. Before long I was pulled in and didn’t come out until the UPS guy knocked on my door. After I signed for my package I decided to conquer this mindless behavior. By this point, you’re probably saying, “Dylan, just don’t use social media” but it isn’t that simple. Platforms such as Twitter are a part of my brand. While you definitely don’t need social media, you’re shooting yourself in the foot by not utilizing it (See # 2 below). Before we talk about how to stop mindlessly scrolling on social media. Let’s talk about why it happens in the first place. Mindlessly scrolling is due to two factors. One is your lack of purpose and the second factor is you being bored. You see when you have a purpose, you’re intentional. When you’re intentional you don’t get bored. I started mindlessly scrolling when I had downtime. My book was being formatted and all of my work had been done. Between working out and other small tasks, my focus was on my book launch. Without realizing it I stopped being intentional. 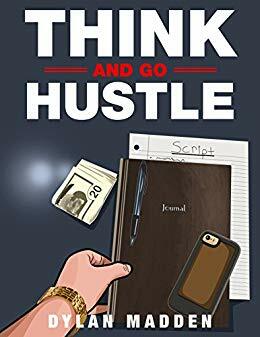 My entire mind was on getting Think and Go Hustle formatted and sent to the Early Access list. For 3 days I waited for the last touches to be finished. By doing this I opened myself up to being bored. Being bored is a motivation stealer and dream killer. So the best way to keep yourself from mindlessly scrolling is to have something to work on. That’s why working out or having a craft is so powerful. It allows you to always be working towards something. Now that you understand why you mindlessly scroll, let’s move forward and fix it. As always we will keep it simple and effective. When you find yourself scrolling drop down and give me 30 push-ups. My record is doing 60 within an hour period. This trains you to not mindlessly scroll and reframes it into something positive. Instead of it stealing your energy, you get in some push-ups. Every time I catch myself mindlessly scrolling on social media I do 30 push-ups. Social media is a complete time waster unless it’s used for business. Promote your content, build relationships, and get off. If you’re reading this article I’m assuming you aren’t average. Otherwise, you wouldn’t be taking the time to better yourself. Average people use social media for entertainment. They spend hours watching funny videos and laughing at memes. Assuming you are here to better yourself, limit your social media use to business only. You can entertain yourself when you’re living life how you want to. Until you’re there, you’ve got to be intentional. Using timed sessions is great for curbing your social media addiction. You get on for an allotted time and then you get off. I allow myself three 5 minutes sessions daily. Once in the morning, in the afternoon, and then an hour before I go to bed. There are days where I don’t stick to this but I am intentional. I get on long enough to retweet and interact with my people and then I’m off. Take a day or better yet a weekend to isolate yourself. No phone, no people, just you and a notebook. Use this time to think about where you are in life and where you’re going. As ideas come to you write them down. You will use these ideas when creating your script. Your script is what gives you the actions required to get what you want in life. All 5 of these points come down to discipline. Discipline is the only thing that you have control over. In my own life discipline has been responsible for everything that I’ve accomplished. 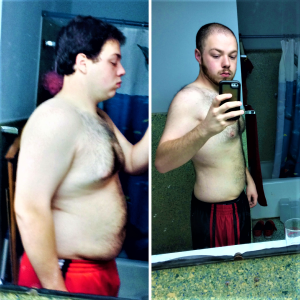 From quitting my job to dropping 70 pounds. As you gain discipline your purpose becomes clear. You’ll wake up and get right to work on what matters. Every young man should start off with 30 Days of Discipline. It’s a 30 day challenge that forces you to grow. By week two you’ll notice you’re getting more stuff done. Not only that but you won’t be wasting time on social media anymore. If you have any questions I’ll answer them in the comment section.